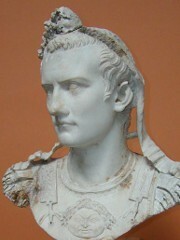 37 – The Roman Senate annuls Tiberius’ will and proclaims Caligula emperor. 1937 – The human-powered aircraft, Pedaliante, flies 1 kilometre (0.62 miles) outside Milan. 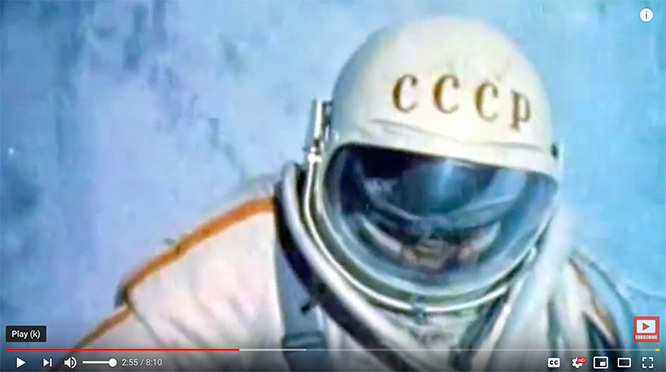 1965 – Cosmonaut Aleksei Leonov, left his spacecraft Voskhod 2 for 12 minutes, becomes the first person to walk in space. He was outside the spacecraft for 12 minutes and nine seconds on March 18,1965, connected to the craft by a 5.35-meter tether. At the end of the spacewalk, Leonov’s spacesuit had inflated in the vacuum of space to the point where he could not re-enter the airlock. He opened a valve to allow some of the suit’s pressure to bleed off and was barely able to get back inside the capsule. Leonov had spent eighteen months undergoing intensive weightlessness training for the mission. As of October 2014, Leonov is the last survivor of the five cosmonauts in the Voskhod program. He is 84 years old. Click here to watch a report on the first walk in space. 1989 – In Egypt, a 4,400-year-old mummy was found near the Pyramid of Giza, in Egypt. Various internet sources and searches are used in the making of this document. Re the first Bat Mitzvah in 1922. Judith Kaplan and her three sisters were all bat mitzvah but women did not participate in the service afterword. Only in 1950 did the congregation of rabbi Mordecai Kaplan grant to women full participation in the service. Regarding the Bat Mitzvah of Judith kaplan, Mordecai Kaplan and his followers had left the orthodox Jewish Center a few months before and consequently at Judith’s Bat Mitzvah paradoxically the men and women sat separatelly. The men were in the front of the congregation and the women sat in the back.